First of all I have to add a disclaimer, this is totally Evie’s recipe, it is to her taste (not mine). 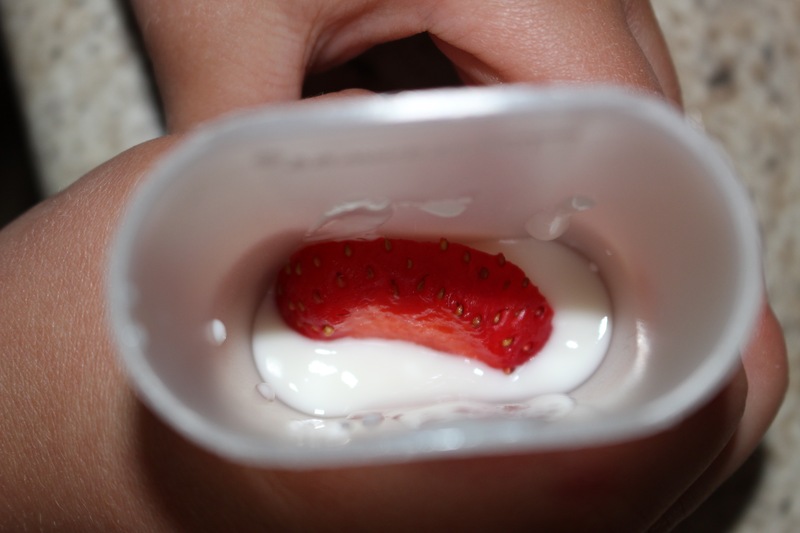 This child is very picky when it comes to yogurt, it is all too sweet. When we were on vacation last summer the guy working in dairy at Whole Foods was determined to find her a yogurt that she liked. He saw us in there everyday getting breakfast and one day as she is mulling over the yogurt he noticed and started asking questions and making suggestions. She told him the ones that she tried and were too sweet, he then picked a couple off the shelf and brought them to the cash telling the cashier that he was giving these to her to try to find one that she liked so we would know what to buy next time, I thought that was very nice. We pretty much stick to plain. God help us if she finds any of that fruit on the bottom stuff she will shiver trying not to gag in disgust. 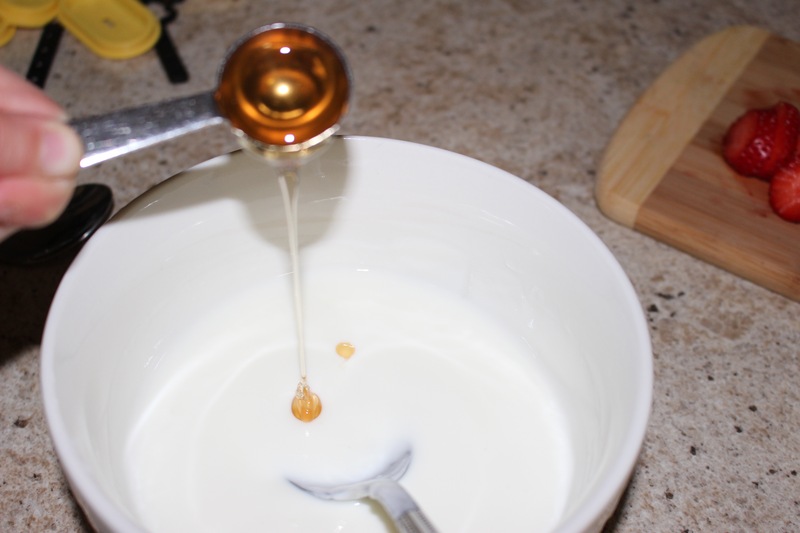 A popular breakfast for her is plain yogurt, with a drizzle of honey and a splash of rosewater. This concoction was given to us by an Iranian friend, who I used to work with. It was an instant hit! 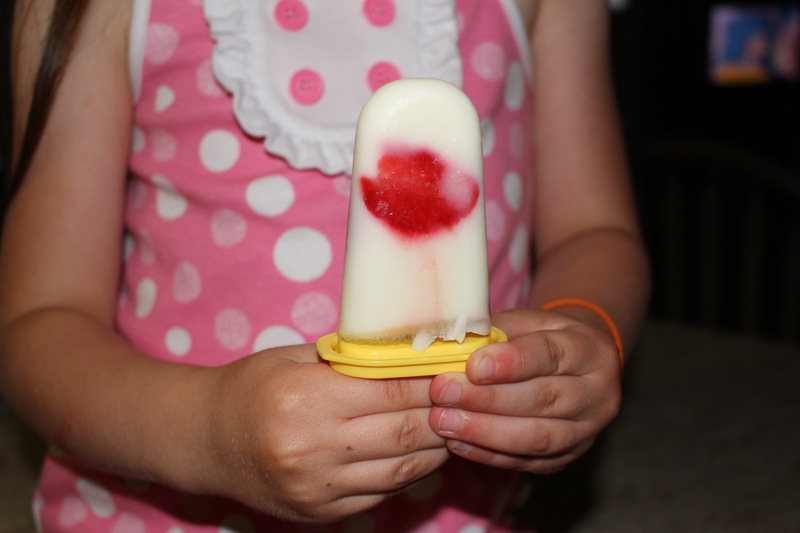 So from her breakfast yogurt came the idea for her frozen yogurt pops. And they are perfectly red and white for Canada Day! Our measurements are not accurate because she is 7 and not quite aware of all of the measurements yet and it is completely by taste, Evie tastes and tells me when it is right so I can figure out roughly how much she used. That is life with 7 year old foodie! Add some to a ice pop mould, about 1/3 way up. them ad a few slices of berry, top up with more yogurt then some berry then yogurt and add the top and stick and freeze until solid. There you have it, just in time for Canada Day. 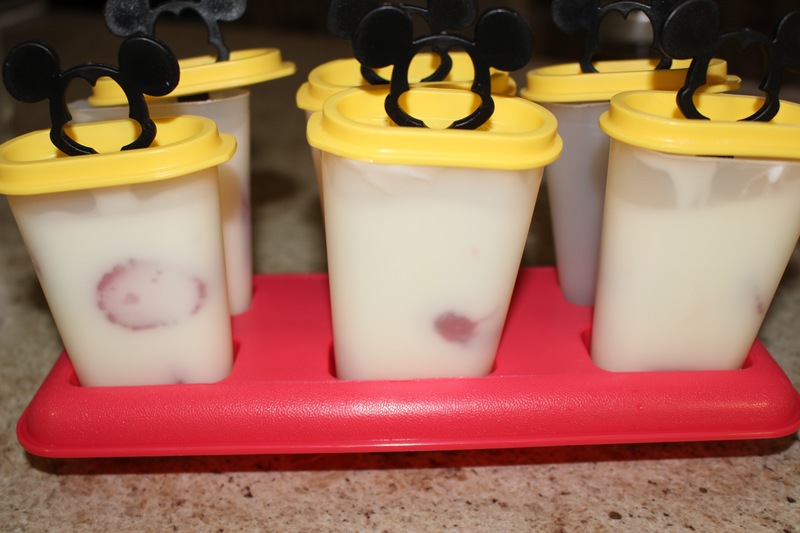 If you want to make for 4th of July just add some blueberries along with the strawberries for red, white and blue yogurt pops. This recipe is really fast and easy and very good. 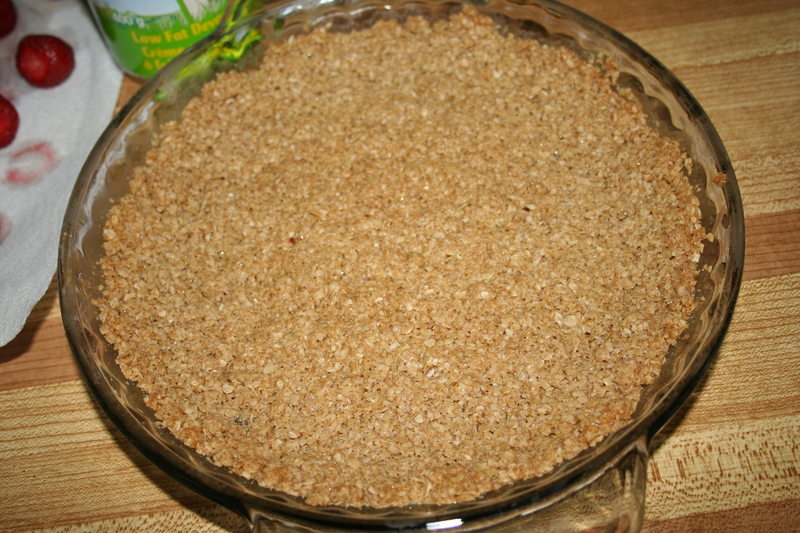 It is easily adapted to be vegan and/or gluten free. Just swap out the butter for your favourite vegan spread (butter substitute) for gluten free you must make sure that the oats you use are gluten free, it must say that on the label, otherwise there is probably gluten in there. Melt butter and stir into the rest of the ingredients. 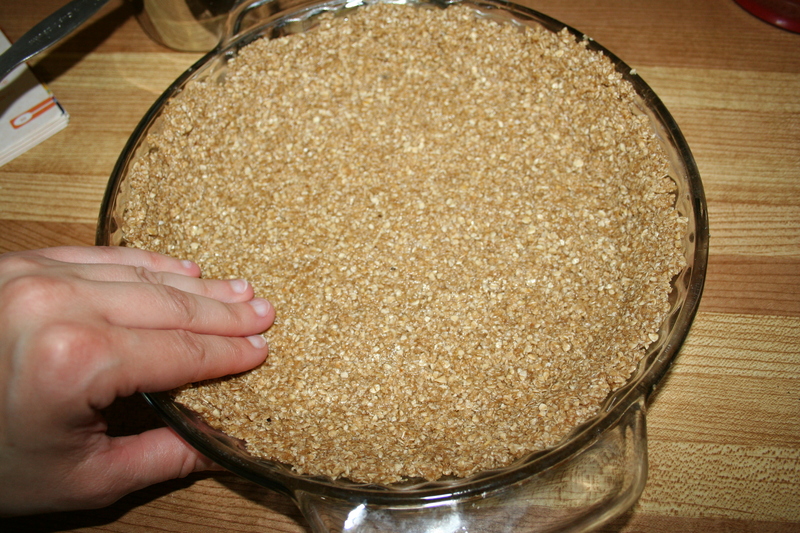 Press into a 9″ pie plate and bake at 375F for about 10 minutes. Let cool completely before filling. 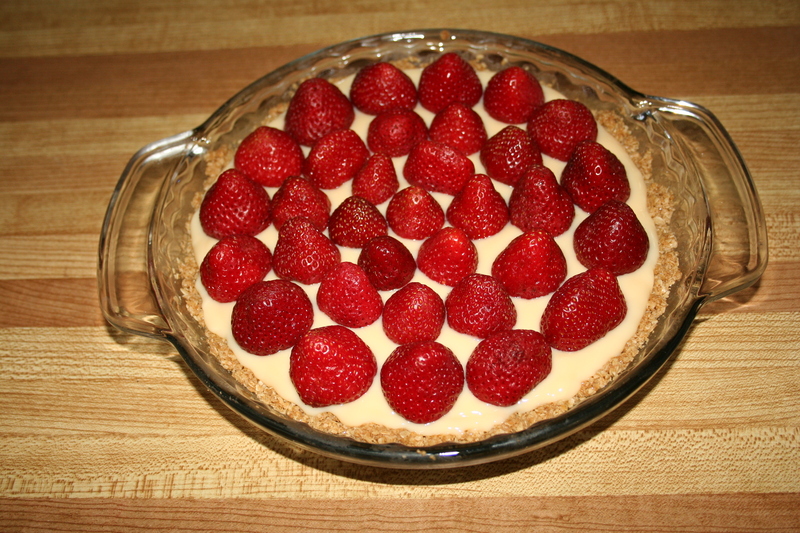 We made a custard and strawberry pie. You can make your own custard, but we were in a hurry so we used a canned variety. 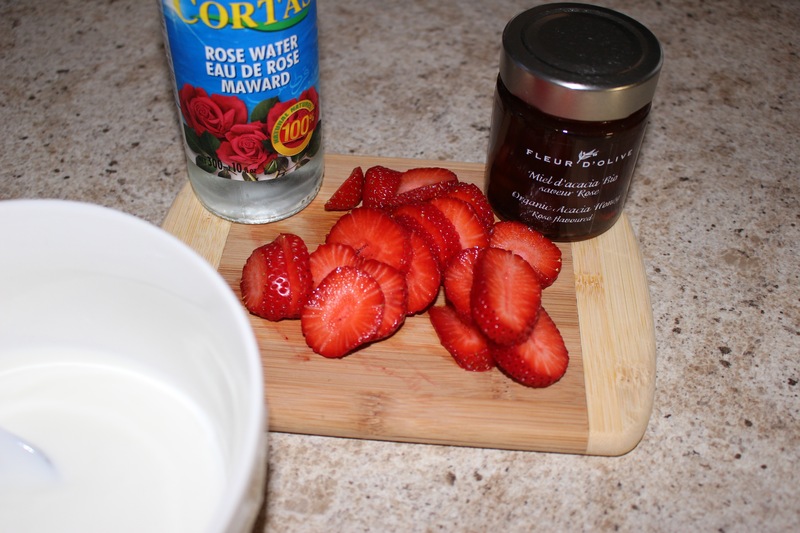 Then top with strawberries, you can use any other fresh berry for this too. 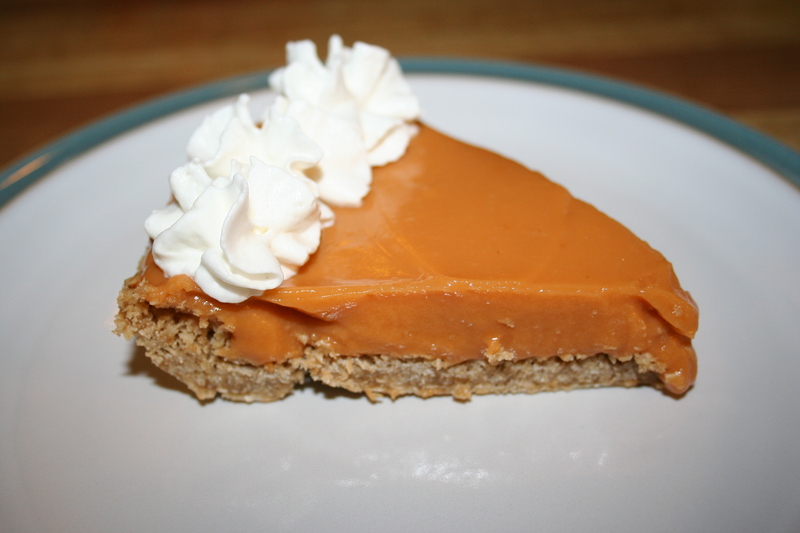 Our other pie we filled with butterscotch pudding and topped with whipped cream. You can use any instant pudding for this as well.